Sit back in comfort for a stylish tour of the capital city with the Lido’s stunning “Paris Merveilles” evening cabaret show, complete with fabulous feathers, frills and fringes galore! 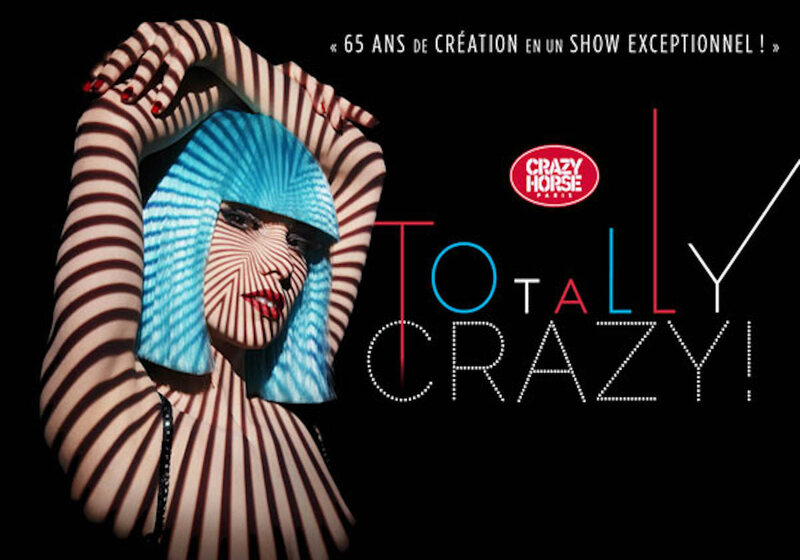 For a professional, high-precision show of light and shade, beautifully celebrating the female form, don’t miss the fabulous Crazy Horse cabaret – it’s truly in a league of its own. Once the sun goes down, Paris really knows how to let loose. Known for its lively and (sometimes) naughty nightlife, the City of Light tempts and teases visitors after dark with cool and trendy wine bars, high-energy discotheques and tantalizing cabarets. Cap off an evening at the Louvre Museum with an extended night out at a nearby wine bar. The area is full of chic haunts where you can nibble on dishes created by some of the city’s best young chefs and discuss art over a bottle French of wine. Dance the night away at a classic Parisian nightclub. The Oberkampf and Bastille districts are favorites with locals and offer everything from kitschy rock’n’roll bars to traditional nightclubs and live music venues. Make it a trip to remember with a night out at the world famous Moulin Rouge. Dine on fine French cuisine as a whirlwind of dancers donning feathers and sequins put on a classic cabaret performance. 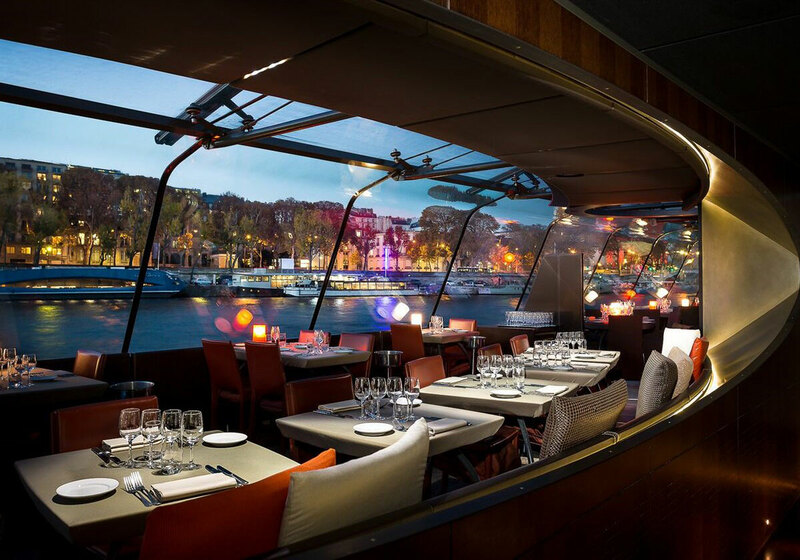 For a more laidback experience, pair an unforgettable dinner at the Eiffel Tower with a romantic cruise down the Seine and soak in the views of the City of Light at night. 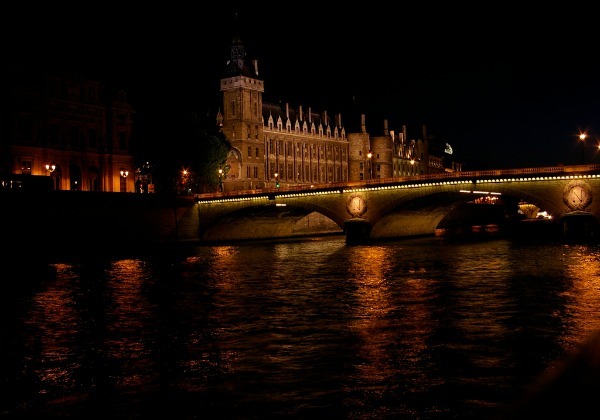 There are so many different ways to enjoy the French capital at night. When putting together your trip to Paris, don’t forget to plan for after dark! Treat yourself to a night out in beautiful Paris. Choose from our wide range of nightlife excursions in the French capital, from relaxing and romantic river cruises to exciting cabaret shows.